One of our most hypo-allergenic soaps. 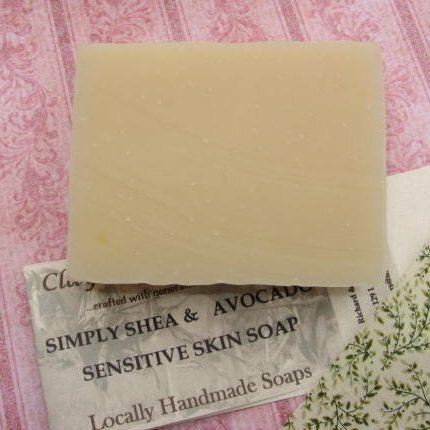 A great soap for your face, or basic everyday body soap. To our base recipe, we've added shea butter and avocado oil; two of the most nutrient and vitamin rich emollients known to skin care. Ingredients: Saponified coconut, palm, olive, soybean, grapeseed, and castor oils. Shea butter and avocado oil.